Hydroponics is an exploding industry that has yet to reach its full potential. The use of hydroponics broadens the ability to garden in small spaces where adequate land is scarce and in arid or barren conditions not conducive to propagation. Though the benefits of hydroponic gardening are numerous and well documented, the commercial hydroponics industry has yet to truly hit the mainstream. Part of the reason for this is that governments worldwide continue to equate hydroponics with marijuana and have persecuted hydroponics companies accordingly. But as time passes, environmental concerns and a decline in arable land will inevitably foster a global awareness of the advantages of hydroponics for farmers and home vegetable gardeners alike. Hydroponics is gardening without soil. In hydroponic gardening systems, plants are placed in a growing medium and nutrients are provided directly to the roots. Many people are surprised that plants don't require soil to live, but soil can sometimes be a very inefficient growing medium. Plants expend a great deal of energy growing root systems so they can search the soil for the water and nutrients they need to survive. By providing constant and readily available nutrition, hydroponics allows plants to grow up to 50% faster than they do in soil. » Simplicity - No digging, tilling, raking, or weed pulling. No power tools needed. » No Yard Needed - Create a hydroponic garden in any indoor space. » Water-Saving - Hydroponic gardens use up to 2/3 less water. » Affordable - Get started on a very low budget, and save on any size of project. 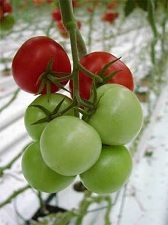 » Better Results - Hydroponics produces better tasting, more nutritional results. » Year Round Growing - With hydroponics, you control the season. » Enjoyment - Your success is all but assured with hydroponics. » Relaxing - All gardeners tell you the same thing. It is a relaxing hobby. » Family Experience - A great way to spend quality family time together. One of the heralded benefits of hydroponic gardening is how it can alleviate poverty while simultaneously easing strains on the environment. Hydroponic gardening systems can be set up to recycle water and nutrients, greatly reducing the resources necessary to grow food. Recycling hydroponic systems use as little as 10% of the water that traditional Hydroponics and Organics Experts requires, a tremendous benefit in areas entirely dependent on irrigation. Hydroponic gardening virtually eliminates the need for herbicides and pesticides, and hydroponic gardeners need only use about 1/4 the fertilizer that traditional gardeners require. As the amount of arable land continues to decrease (over 10 million hectares per year are lost), another environmental benefit of hydroponic gardening will gain attention: Hydroponic gardens can produce the same yield as soil gardens in about 1/5 the space. And because artificially lit hydroponic gardens are not dependent on growing seasons, they can produce yields several times a year rather than just once. It has even been speculated that in decades to come, hydroponics will become a significant food source for over-populated urban regions, with people growing food on rooftops or in basements.